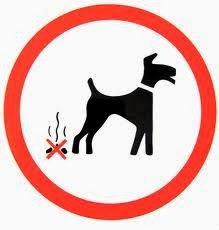 I have led the way in tackling the on-going dog fouling problem in the Holywood area, securing an additional member of Council staff to focus directly on the issue. After months of campaigning I have welcomed the local authority’s decision to employ a part-time member of staff. I worked directly to resolve the issue with Council staff, after discovering FIDO – a dog fouling removal vehicle – is regularly out of action and unavailable to be used in Holywood, leaving dirt strewn across footpaths. After receiving numerous calls from concerned constituents, and witnessing the notorious problem myself, I started to make enquiries as to why the situation had become so bad. I quickly discovered FIDO is prone to being unwell, often in the kennels for repair and regularly impounded due to mechanical malfunctions. As these problems appeared to be on-going, I was keen to achieve a resolution and effectively used the budget setting process to secure an extra member of staff who will be primarily employed to remove dog fouling from the streets of Holywood. Rather than purchasing another potentially unreliable machine an extra pair of hands has now been secured. The part time member of staff will start soon. Alliance Holywood representative Kate Nicholl added: “When it comes to clearing the streets of dog fouling, detection and enforcement is the key. The majority of dog owners are responsible, but it is the minority that leave mess behind who are destroying the comfort of many when out walking in Holywood.